Is it time to take control of your health? 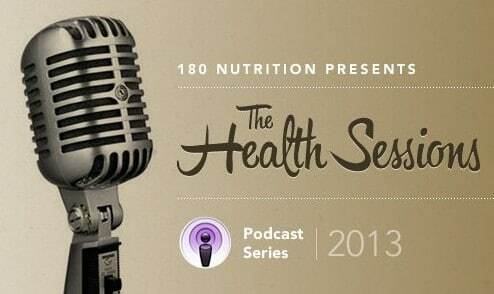 In this episode of The Health Sessions I hangout with Donna & Tora the weight control experts. Their motto is (love this!) health is a lifestyle, not a life sentence. With a great message to health, weight loss and weight control it is a pleasure to have them on the show. You can view all podcast episodes here. How to find you WHY power! Guy: OK, ladies. Thanks for joining us today. We’re in the café, so hopefully the sound will come out fine. In a nutshell, how would you describe yourselves, and I’ll start with you, Tora. Tora: OK. So, we teach people how to get into control of their weight. So, to lose weight and, importantly, keep it off as well. And we do that by focusing on your mindset, your motivation, and your metabolism. So, we focus on sort of the multi-dimensional, holistic aspect of getting into your best shape, feeling your best, by focusing on what you think, how you motivate yourself, how you take action, and also how you eat and exercise for best results. Guy: Yeah, fair enough. Would it be fair to say, then, that the first place where people fall down is the mindset? Would that be the most important part? Tora: Yeah, definitely, because I think it’s not focused, generally, on weight loss. So, most programmes that you look at will focus on the next best diet and the next best type of exercise, but unless you get sorted inside your head first, then there’s all sort of things going to go wrong. There are probably lots of beliefs that we all have that we sabotage ourselves in some way or another. We have a thought process that doesn’t support us. So, it’s normally that that gets in the way rather than necessarily what you’re eating and how you exercise. Guy: Yeah, and it gets into, sort of, your head space, right, and the rest follows after that? Guy: And, so, regarding someone with weight loss, where would be the best place to start? Because you can say “start with the mindset,” but what exactly would that mean for someone? Donna: I think what we notice, the main thing that we’re noticing, and I know this is a generalization as well, but if you are starting to look at the mindset, we like to have the holistic view. So, if you’re going to change some things physically, so, like, for example, we’d suggest that most; one of the clearest things that I noticed for myself when I was carrying weight, was I never ate breakfast. And I’ve done a lot of things out there in there in studies noticing that one of the key things that people who lose weight and keep it off permanently eat breakfast. But just saying to eat breakfast and so you say, “OK, I’ll eat breakfast,” but it’s the mindset shift that you need to be able to eat breakfast in the first place. So, the mindset shift is really about that “I’m important enough.” I’m trying to get the right words for it. But it’s making sure that who I am is important enough to take care of myself. So, having that mindset shift that: “It matters. I matter.” And so really that’s what we teach people in many different ways is starting to look at where are you not taking care of yourself enough? Because, you know, to be your best and to be your most confident self and to lose weight, you really need to start taking really good care of yourself. And so the mindset shift is really: “It matters. I matter.” Because generally why we don’t take care of ourselves is because we’re not seeing that we matter enough, and that often other people are more important than we are. We’re normally way down on the priority list, you know. We’re taking care of our careers and our families and our partners and everything else. And then you come lower down in the priority list. 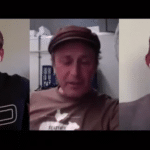 Guy: The funny thing with, like, human nature and me being a PT in the past as well, the one thing I noticed is that when it comes to our values, you ask somebody individually, “Well, do you value your health?” and automatically they say yes. But it seems to never be in the list of priorities when it comes down to it. Tora: I think it’s; and that’s what we say: “It’s not what you know, it’s what you do that’s important.” Because I think most people, even we saw a survey recently, most people say they want to lose weight for their health, but actually how they’re acting isn’t necessarily for health. You know, they might say then, “Yes, I want to lose weight for my health, but I’m going to go for that quick-fix diet over there which has got no real ingredients in it so I can quickly lose weight.” And like you said, people say that health is really important, but then when you look at their typical day or week, where does health fit in? “Well, when I’ve got time for that half an hour on a Thursday afternoon” type of thing. Tora: So, it’s really doing what people; they might have it in their head that they think it’s important, but they’re not doing what they know is important. So, you’ll often notice that people get enough of a jolt to change their mindset. For me, it was like, I can’t get away with what I used to get away with, you know? I’m getting too close to 40 to be able to get away with it anymore and I’m going to have to take charge of my health and start looking after myself, because it matters. It matters what I do; how I take care of myself. Guy: So, they essentially experience more pain than they want and it kind of slingshots them back in the other direction. I mean, is it; are there processes or ways they can speed up that process? Because for some people, that could take a lifetime to get to before the pain gets so bad that they decide to make the change. Tora: Yeah, I think it’s a really good point and I think that’s what we’re trying to avoid, because we know that things like having a health scare is a big motivator, but we want to motivate people, we want people to get motivated before they have that; they want to almost create their own urgency around it without having to have diabetes or a heart attack or whatever else it is. So, one of the things that we teach people is to find their “whypower.” So, we’re normally used to hearing “willpower”; “You need willpower.” We say “whypower.” And what that means is finding your really core, intrinsic reason for wanting to lose weight, get healthy, and it has to go beyond just looking good for the wedding or looking good in your jeans or it has to mean something quite deep inside of you that’s like, “This is why I want it.” And it’s often, for mothers we find, it’s often, “I want to be a good role model for my kids.” Or you want to be your best. You want to live life to the fullest. It’s kind of a much more powerful reason than just, “Oh, I want to look good.” Because that just doesn’t; you might feel like that’s not enough of a pleasure compared to the pain and pleasure. It needs to be a much more powerful driver. Guy: And the other thing I find frustrating about the industry is that it generally promotes fixes; quick fixes. There never seems to be a long-term strategy behind somebody’s health. Because a healthy lifestyle is obviously for life, not until you get into your jeans and then let it go, you know? Donna: And that’s a really nice point, because that’s the mindset shift again. I was talking to my little niece. Now, she’s 13 going on 14. And she said, “Auntie Donna, how do I get healthier and fitter?” And so I gave her a couple of ideas and then she said to me, she said, “How long do I have to do this for?” And so even at that tender age of 13 or 14, she’s already thinking of the high-depravation diet. You do it for a short period of time and then you stop. And it’s like, “No, honey. You drink at least two liters of water for the rest of your life.” This is a lifetime habit; what we call heart-healthy habits. This is one of those habits you’re gonna do for the rest of your life, you know? But it was interesting that even at that tender age of 13, 14, she’s already thinking, “Ah, you just do it short-term and then you’ll be at your ideal weight and you don’t have to worry about it anymore.” It’s like, no, it’s more about a long-term approach. These are skills and habits that you create to do for you long-term so you have health for your long-term as well. Guy: Yeah, fantastic. And what’s your thoughts on exercise? Now, it tends to get a little bit of press at the moment as well, because I think David Gillespie even came up, in one of his books not so long ago, of the fact that he doesn’t exercise and there were studies showing that exercise is actually not that beneficial for weight loss. I say that for weight loss, not for; I mean, there are numerous health benefits, I believe. I exercise every day. You exercise regularly. So I’m certainly not dissing exercise. But what are your thoughts on that regarding weight loss itself? So, I mean, we believe that the benefits of exercise are way beyond just weight loss. But I think the issue with weight loss is people counteract what they do with their exercise with, for example, “Ah, I’ve been to the gym so therefore I can my double latte with cream and a muffin.” Yeah, so then it doesn’t work. But I’m a believer that if you exercise without doing all those little habits that counteract it, or you’re doing too much. Because we find that most people do way too much exercise if they’re trying to lose weight or they don’t do enough; they don’t do anything. They go one extreme to another. They’re in the gym for two, three hours a day. Then you get exhausted. Then you need to get food just to try and get your energy back. But we still believe that exercise is a really important aspect of weight loss, as long as you’re not doing those other things to counteract the benefits. Because it makes you feel better. When you feel stronger in your body, it makes you feel more powerful, it makes you feel stronger in other areas of your life, and that keeps you motivated to carry on towards your goals. Guy: Absolutely. I mean, I exercise purely for how I feel mentally. Guy: The other mistake I saw a lot as well, because, exercise, I think, at the end of the day should be progressive. So people who haven’t exercised for a long time really need to start off with a very small base and then week by week just slowly compound it. I mean, it shouldn’t be done 90 miles an hour from the start. And, like you said, the other interesting thing is that your appetite increases. And generally people eat more bad food. Tora: Because they’re often not ready, are they? “Oh, well I’ve been good,” because in that good-bad mentality, “Oh, I’ve been good here so I can be naughty here.” And then that sets up that paradigm that you’re always: “Exercise? Now I can be naughty.” And then that’s one of the issues. Guy: So, we can all agree then that exercise is a good thing for weight loss. But what would you say to someone that hates exercise? Donna: So, somebody who hates exercise, basically you obviously haven’t found an exercise that works for you. And the first place to start, I know for myself, being somebody who doesn’t love exercise, I realize at a tender age of nearly 46 that it’s a part of being; it’s a part of having a human body. If you want to operate well and you want to have good health, you need to exercise. The other bonus as well, for exercise in particular, especially for women, is that you tone up. So, you might not be dropping weight on the scales but you’ll actually look leaner and longer because you are toned, you know, and your muscles are tight so you look better anyway. And you will actually drop a size, even though you might not have dropped weight. I mean, that’s the good thing about exercise. If you don’t love exercise, though, walk. Walk. We’ve been given two legs so you need to get out there and start to walk. And then, looking at how; you know, one of the things is it’s probably belief systems that are in the way of not enjoying exercise. So, make it more enjoyable. Get a girlfriend to go out and go walking with you. Buddy up so you’re actually helping; the motivation. You don’t want to let somebody else down, so you’re going to meet at 8 o’clock in the morning to walk. Tora: I have a story of one of our clients who was; we had tried so many different ways to get her to exercise, like just doing little 10-minute sessions and she never had time. “No, I just don’t have time. I can’t fit it in.” And then one of her friends invited her to go to a Zumba class and she absolutely loved it. So, she went from, literally, she couldn’t fit in 10 minutes of exercise a day to going to Zumba three times a week, joining a gym, buying a bike, and now is exercising pretty much every single day. Just from finding something that she enjoyed. Now, I’m not as; I can’t imagine loving Zumba at all, because I’m not that type of person, but a lot of women; I think that’s why Zumba’s become so successful is because a lot of women love that type of thing because it’s enjoyable. They forget they’re exercising. And I think most people, even though they’ve got that mindset, “Oh, I hate exercise,” there is probably something that you might at least be able to do on a consistent basis. Guy: You’ve got to enjoy it, no matter what it is. That’s massive. This came up in conversation earlier, before we hit the “record” button. The Biggest Loser. Guy: Very popular show, specializing, obviously, on weight loss as well. What are your thoughts? Donna: Well, my thought is it’s a TV show. So, you know, don’t let the truth get in the way of a good TV show, really. It’s a reality TV show. I think the unfortunate thing about it is you don’t know all the ins and outs. And so some of the messages that are being sent, because it’s a TV show, aren’t actually supporting people for long-term health and weight loss. So, what you see, and even, also, what we’ve heard is if you are exercising six to eight hours a day, of course you’re going to lose weight. You’re going to less than a thousand calories; of course you’re gonna lose weight. But can people do that long-term? Because we are all about long-term. You know, your health is for your long-term. You’re gonna live a long time, so you want to make sure that you are well for that entire time. So, I think the unfortunate thing with The Biggest Loser: It’s still sending that message about the short-term, high-deprivation, high-exercise mindset and motivation where that’s not going to support you as a human being to be able to continue doing that, really. So, that’s my thoughts on The Biggest Loser. It’s not sending the whole message to support people to be able to do it in their own lives. And then they will feel like a failure because they’re not doing like The Biggest Loser. But there are so many other things going on on The Biggest Loser that aren’t really healthy anyway. Guy: Yeah. It seems to be a message that continues to confuse people that are struggling, I guess. Tora: And I think those massive weight loss that they get every week, partly because they are obese or morbidly obese people at the start, and partly because we know there’s a bit of trickery around how often they actually weigh them, and, you know, as Donna said, if you’re exercising six, eight hours a day and eating a thousand calories, you’re going to have massive weight loss. So, people then have the expectation that, “Oh, unless I lose 2, 3 kilos a week, then it’s not worth it and I’m failing and I may as well give up.” Whereas, really, half a kilo a week’s great if you can do that on a consistent basis. But people have the expectation. Guy: The other; if somebody’s listening to this and they’re overweight and, generally, people have tried multiple times to lose weight at different points and then they get to the point where they’re just going, “Sod this,” like you mentioned earlier about feeling defeated. The problem I see is that there is so many mixed messages out there and confusion. How do you; like, it’s OK if you’re in the industry and what you know you know and what you don’t know, you don’t know. So, where would one person start, do you think, to sort of cut the wheat from the chaff? Tora: I think one of the things is finding people who walk the talk, like us. That’s why we’re sitting here like you and us who you can tell just by what they’re doing, “Oh, OK, so maybe these are the people we can trust.” Because that’s one of the issues that we have is that, hang on, is this just another weight loss approach? So, what we try and do is sort of break it down into simple things. So, for example, in terms of how people eat, we start out with the 10 Commandments. There’s 10 things to do and it might be, like, one of them is two liters of water. So, get hydrated. That’s one of the 10 things that will have the biggest impact on your weight loss results. And it’s really making it simple. And also giving people the confidence again that they actually know a huge amount already. If you’ve done a couple of diets and you’ve just been reading stuff, you actually know a huge amount and you’ve cluttered your head with so much conflicting information. You actually know a lot more than you think and trust yourself that you can motivate yourself for longer periods of time than always having to look at a specific fix. Guy: Yeah. In terms of things where I wanted to learn something, or whatever, I always think getting a coach or a mentor or somebody that’s walked the talk is the most powerful thing you can do, because they’ve got that history of success behind them. And then you can leverage off that. And I’ve done that in certain areas of my life as well when needed, and until it’s ingrained in yourself and you can then just go forward. But I guess it’s just starting, isn’t it? Donna: But coming back to the starting it, the mindset and the motivation that we talk about often is recognizing that; and I got to that place myself where I yo-yo dieted for seven years, you know. And I ended up; and statistically now they’re showing that every time you go on a diet, you’re guaranteed with being an extra 10 percent heavier than when you started. And more and more, is it Dan Heath, from Switch, the book switch, and they talk about that. That, you know, you’re better off not dieting in the first place because you’re going to end up at least 10 percent heavier than when you started. So, for me I gave up dieted as well. I’d had enough. I’d tried every pill, potion, and shake under the sun and everything else as well. And as soon as I stopped dieting, you know, doing it high-deprivation, first of all, you stop beating yourself up and feeling guilty and feeling shameful that you’re actually carrying all this weight. And then I just started doing lots of little lifestyle changes. You know, you just start and see there’s a long-term process, not a short-term quick fix. So, we follow, and we do it personally, ourselves, we have the upgrade diet, which is a low-deprivation approach to organizing your food to be healthier and then it will sort of impact your fitness as well. But just doing small increments on a steady basis; what we call creating heart-healthy habits. So, I mentioned earlier that one of the biggest things that made the difference, and we still notice it today, is: Do you eat breakfast? You know, if you’re not eating breakfast and you’re not eating it within roughly an hour of you getting up, then you’re not rebooting your metabolism. So, that’s the simplest thing. So go and do that, and do it for three to six weeks and then continue on until it’s a heart-healthy habit. And once that’s locked in, then you go to the next thing and you go, again, “I’m going to drink two liters of water for the next six weeks.” We say six weeks because it takes approximately six weeks before you start locking in your heart-healthy habit. So, it takes about that long to do so. See, that’s just slow, incremental pieces. And you imagine how many new, heart-healthy habits you could do in a year. And then you’re like, “Oh! I’m so much fitter and healthier than where I was a year beforehand.” And that’s the way to do it. We’re still upgrading our diet; still upgrading our health. And now it’s become more fun, you know, because it’s long high-deprivation, not hard, no beating ourselves up. So, that’s the key is actually creating heart-healthy habits for yourself. And that’s what we teach. Guy: Yeah, fair enough. I guess it’s like changing your course of direction one degree then. Over the long term, you’re at a whole new destination. Tora: Absolutely, yeah. And it becomes easier, as well. It’s not that, you know, I think the biggest think, I know, for myself personally, around losing weight and being really heavy; you know, I was 70 pounds (over 30 kilograms) heavier than I am today. And so being really heavy, there’s all the shame, there’s all the guilt, and there’s a lot of upset that goes with that. And so when you stop the high-deprivation diet, you stop beating yourself up. And then there’s a lot more relief and a lot more niceness to yourself. You start taking better care of yourself instead of beating yourself up. And I think that’s the mindset and the motivation shift you need to then be able to continue integrating these heart-healthy habits. Guy: And the last thing I wanted to cover as well was you spoke about how you started offline, doing seminars, and then taking that knowledge online. Can you explain what you were doing and how you’ve turned it into online and what the online. . .
Tora: So, what we’ve done is, because we really wanted to try and reach as many people as possible, so we went online, so what we’ve done is put together a really comprehensive online weight loss program, which give people who come a diet plan to follow. What it’s like is it’s guidelines, really, with lots of healthy recipes and we give them the exercise, if they’ve not got an exercise plan, this is how we think you can exercise for the best results in the shortest periods of time, but we also, importantly, teach people how to change your mindset. So, we initially say, “OK, these are probably the beliefs, or what beliefs are stopping you, and this is how to change your beliefs. This is how to change your thinking. This is how to find your personal motivation. This is how to put it into action. And we do that in an online program that teaches people step-by-step in modules so each week they get a little module with different videos and downloadable documents and things so they can actually put things in practice as they go and make it into a lifestyle. So, our motto is: “Health is a lifestyle, not a life sentence.” So it’s about how do I put this in place so that it’s not a diet, it’s actually a way of living. So that’s what we’ve done. Donna: Absolutely. And with that, we started offline, we started in seminars, that’s my background in training and development and I’ve spent 20 years traveling the world, being able to teach people how to motivate themselves and how to be accountable. And that’s exactly what we do in our program is we teach people how to learn to trust themselves again. I notice from dieting for many years is you lose touch with yourself a little bit about how to trust yourself. And so what we do in our seminars is we teach people those components in our two-day seminar. And then as Tora said, we wanted to be able to reach more people. So, we want to be able to do both. So, definitely, this year we’ll begin back out into the big, wide world and actually do it again; start doing it and running our seminars to support our online program. So then you’ve have both. You can come to the online and come to the live event and also then you can come and join part of our community because we’ve also got an online community as part of our online program. We teach both the same sort of things online and offline, but because this is a part of a journey, you want to be able to reflect back and go, now, what did they say about how I motivate myself? What did they say about the type of food I should eat? So, being able to go online and being able to reference that, because once you become a member you’re a lifetime member. You don’t get kicked out. So, you can always. . . I know when people come back from holidays, you know, everybody puts on a few pounds, when they come back from holiday, they go, “Where do I start again?” Oh, just come into our online program, have a look under the module under Motivation, and just reboot that motivation. So that’s what we love is to have that support; be able to have both so people can do that. Man: Fantastic. Well, look, girls, I love what you’re doing and what you’re all about for sure. And if anyone’s listening to this and wants to learn more, where do they go? Help us out. Tora: www.DonnaAndTora.com. And they can sign up; we’ve got a heart-healthy diet guide they can get started with, they can download for free if they sign up, and we’re on Facebook: DonnaAndTora as well. Guy: Yeah, I follow you. Donna: And in fact, just thinking about, also, the food, I’m sometimes confused about what to eat, we’ve just recently done a quick video on what we eat in a day. So, a Day in the Life of Donna and Tora, which people are finding really helpful as well. Because we teach the methodology that we live. It’s not like they’re separate. We live this, so we know that it works, you know? And so part of that process is being able to support people and engaging is our way as well. So, we’ve done A Day in the Life of, so, all of the things we eat. Tora: Yeah. It’s really useful. Guy: I’ll put that link on the blog as well. Tora: Yeah, that’s a great idea. Donna: We find people really like that. Guy: Well, thanks for coming on, ladies. I really appreciate it. Donna: Thank you. Thanks so much. It’s been wonderful chatting with you. 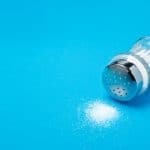 Is salt healthy & How Much Should I Have In My Diet? I can’t find these ladies on facebook? Are they still about?